I hope you are doing well and you are safe from the heavy snow. 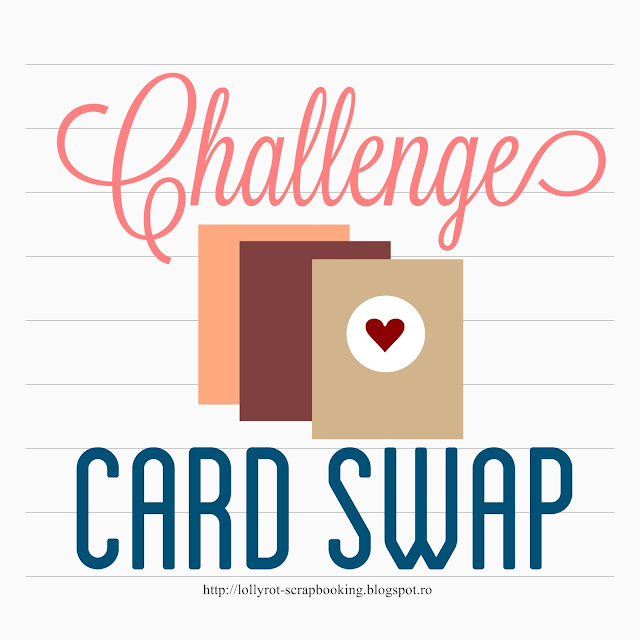 If you have a moment, I would like you to check out this new Challenge Card Swap group on Facebook. A group for all cardmakers. If you want to take part of a card swap that comes with a little twist, then please check it out. You can invite your friends and share it on social media. I would love to see you there ! Make new friends, create, challenge yourself and get a happy mail from your swap partner. If you have questions, please let me know. Have a lovely day! I really miss the nice weather. I had enough of cold rainy days. Let's see if today's card can take me ''somewhere'' nice for a moment. I love bunnies and spring.So, I thought it would be nice to create a card using this theme. As you probably know by now,I like the no line coloring, MFT stamps and Inktense pencils. This card will also work great for Easter. You don't really need to make it super traditional. Skip the eggs and the Easter sentiment and it will work just fine. As always, thanks for stopping by. I enjoy creating and sharing my work with you all. I hope you get inspired to try something new or to create something beautiful today. Have a lovely day! I hope you have a good week so far and that today's post will inspire you and maybe go over at Crafty Ola's Store to see this new fun '' Nature's Grace '' kit. So,I don't have one, or two, but 5 cards in total to share with you today. The kit comes with many great supplies. A mix of embellishments, pattern paper and other cute bits. I used it to create this geometrical pattern. To finish off the card, I used the foam sticker for the sentiment, the glitter butterfly and a few pearls. I like die cutting and the inlaid die cut technique works really well for this card.I love the result even if this technique takes some time to put everything together. You have to keep all those bits. Patience makes things perfect! As you can see, these cards are a mix of the pattern paper and embellishments. You also get a beautiful stamp with the kit. I didn't get the chance to use it , but I may use it for upcoming creations. Which card is your favorite one? 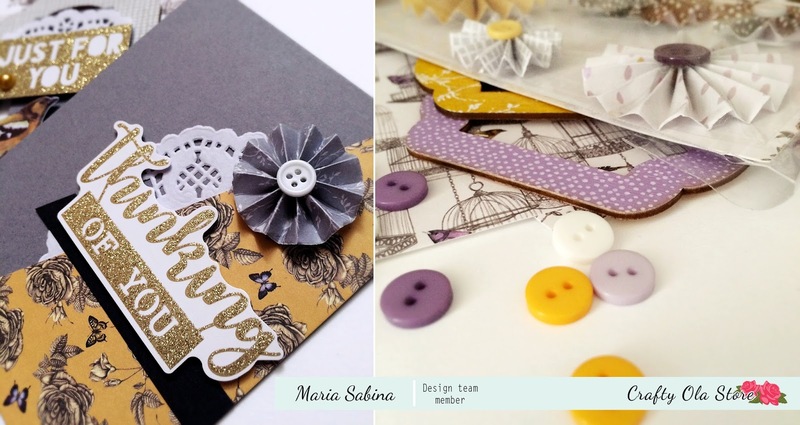 Don't forget to check out Crafty Ola's blog for more inspiration from our design team. 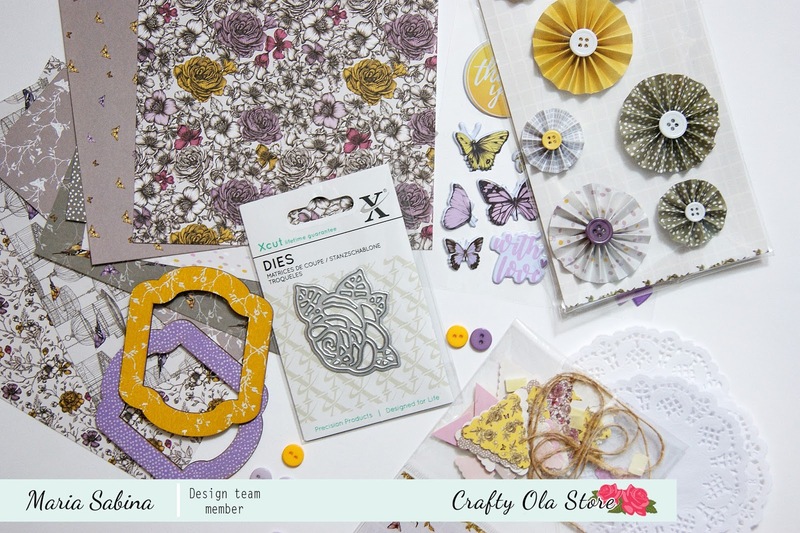 You can find the kit and more supplies over at Crafty Ola's Store. If you have questions,please let me know in the comments below.As always, thanks for stopping by! Have a nice day! I had these beautiful stamps '' Whimsical Frame Stamp & Die Set, Sending Big Hugs'' from Tonic Studios in my stash and they are the perfect deisgn for this retro look. The frame around the sentiment is from the ''Whimsical Frame Die & Stamp Set, Best friends Forever''. If you have mood for stamping, but you don't know what color pallete to use or what design to use, you can always go on google and look for different textile patterns. They are a great inspiration. If you enjoyed today's card and you want to keep up with my activity, you can always find me on Instagram. Until next time, stay safe and create beautiful things! Oh! Today is the day! I am super excited to show you what the ''Nature's Grace'' kit looks like. You can get this kit and the upcoming kits from Crafty Ola Store. They are really well put together and the color scheme and elements match perfectly. You can go to my Youtube channel to watch the full video. With this kit you can create 10 cards or more. If you are not into cardmaking, this will also work for layouts or albums.You get enough materials to create any of those. If you want to see the cards I made with this kit,please come again in the upcoming days to see the full post. You will love them. Or at least I hope you will as much as I do. I really enjoyed working with this kit. You can check out our lovely design team over at Crafty Ola's blog for more inspiration and other fun things. In today's card I mixed three different things. Stamping, blending and coloring with my favorite Inktense pencils. I love coloring and stamping,but I should do more backgrounds and blending. I think it is a great combination and the result is really nice. I don't always follow a sketch or a theme, but I get inspired by the things I would like to do, the things I see or go to. I'm not a fan of deep water, but I like sitting by the side of it or just walk around it. I also love the stamps from MFT and I hope to add some sets to my stash soon. They are really beautiful and well made. I hope you enjoy today's card. I really enjoyed making it. If you wish, I have an Instagram where I show other things. You can follow me there to stay updated. I hope you are doing well. I have some exciting news to share . From today on, you will see new cards featuring the Crafty Ola's kits. I'm super excited to be part of their team and really happy to work with the supplies that come with the kit. For today I have a sneak peak of the Nature's Grace March kit. You will love it! You have to wait a little bit to get the kit. But you will love it as much as I do. The colors are fresh and perfect for Spring. I can't wait for the weather to improve and for that fresh Spring smell. You can check out Crafty Ola Store for many other supplies. Keep an eye on my social media for the upcoming cards and more goodies!